Got up early with the BF and made breakfast. 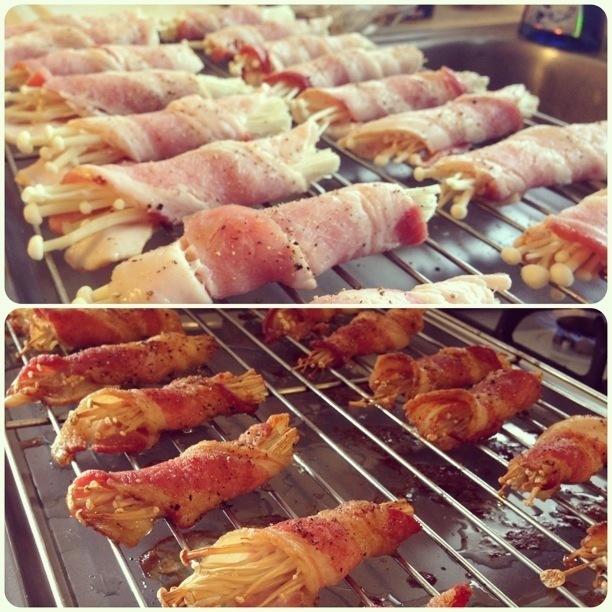 Bacon wrapped enoki mushrooms! Soooo good! And easy too!